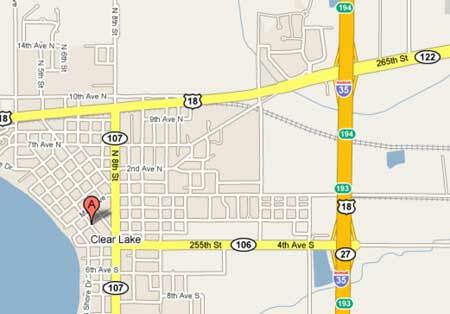 The Auto Hospital is conveniently located near downtown Clear Lake. Just over a mile off Exit 193 on Interstate 35, the Auto Hospital is easy to find for locals and travelers alike. From Exit 193, go west through the stop lights until the four-way stop. Continue one more block west after the four-way and then turn right. The Auto Hospital will be about a block ahead, on the left side of the road. Stop by any time and talk to Scott, Tami, or one of the service technicians.